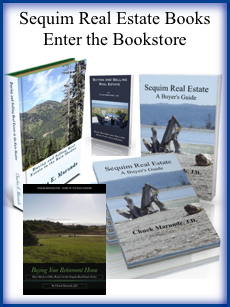 Sequim real estate broker Chuck Marunde has written a new book to be released within a few weeks. 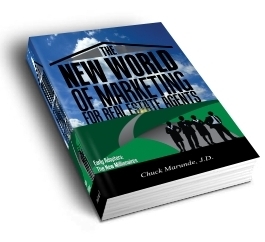 The title of the book is, The New World of Marketing for Real Estate Agents. This is a 2nd edition and almost a new book compared to the 1st edition. The 2nd edition doubles the size of the book and includes very practical, but still largely unknown, tips on marketing real estate and connecting with buyers. The purpose of the book is to help real estate agents all over the country make the transition from the traditional brokerage to the New World of Marketing. All agents will have to figure out how to bridge the gap, or they will go out of business. Consumers have moved on, but many agents and brokers around the country have not. As a Sequim real estate broker, I’ve had to learn how to bridge the gap from the old to the new, and for years I’ve tracked what successful agents are doing around the country. I’ve also tracked the broker bankruptcies, mergers, and consolidations. Even little Sequim, Washington, has lost 50% of it’s real estate agents since 2006. The book reviews traditional real estate brokerage and how consumer demand and preferences have changed and how technology has changed the entire real estate industry. In the context of a major real estate recession, the book’s marketing concepts are cutting edge concepts and frankly way out ahead of the traditional brokers we all have known so well for decades. Many brokerages are still operating with a 20-year old business model and still primarily using the same marketing and sales techniques. But times have changed, and what used to work to sell a home and to connect with buyers does not work so well anymore. There are entirely new technologies, new methods, new business models, and a new generation of buyers who have moved into the future already. Traditional brokerage has relied heavily on print advertising, flyers, open houses, and even billboards, not to mention huge luxurious bricks-and-mortar offices, and this has been true for three decades. Agents today who practice under a traditional business model are still using many outdated methods. This is not about the character or integrity of agents. It is about the dramatic changes taking place in the industry and how agents can and must bridge the gap from the old to the new. 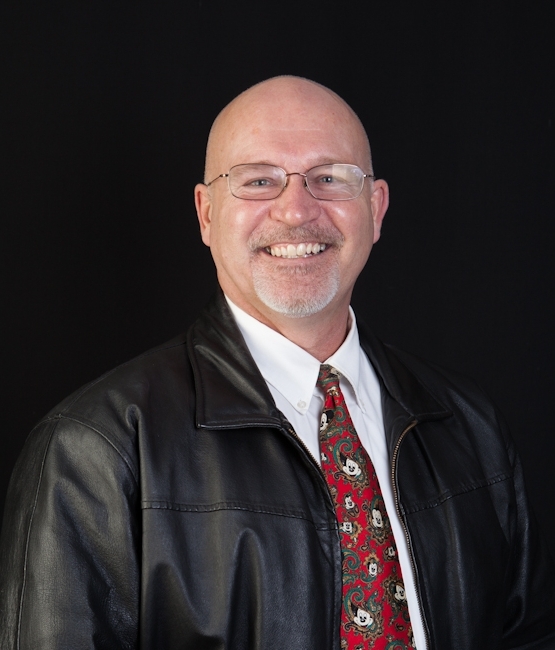 As a Sequim real estate broker I wish that I could sit down with every homeowner who wants to sell their home and every homeowner who has been unable to sell their home. Of course, that is impossible. Out of several thousand homeowners in the area who want to sell their homes, they have no idea who I am, and they are not doing their due diligence on the Internet to find answers. I do not do mass mailings to reach all of these people, and I do not cold call expired listings. I also do not run expensive print ads in the newspaper. All that is very expensive and not very effective. 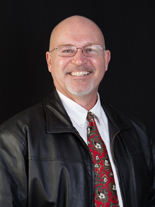 But guess who is doing their due diligence on the Internet when it comes to Sequim real estate? Buyers! Buyers are doing extensive Internet research, but the vast majority of Sequim sellers are not. The New World of Marketing for Real Estate Agents, 2nd Edition, has been endorsed by big names in the industry, including Tom Hopkins, who is known by almost every Realtor in the country as a top trainer, motivator and author. The book has also been endorsed by well known national trainer and author Don Hobbs, and by a broker who has sold over half a billion dollars in real estate, Beau Weidman. The book will be available in a few weeks, so check back. Don’t buy the first edition which is still in Amazon.com, because the 2nd Edition will replace the 1st Edition entirely. Anyone who reads this blog probably knows that one of my passions in life is to help people, and for me that means using my expertise and a lifetime of experience to help buyers and sellers in real estate. I give away a ton of free information and help on this blog. I hold nothing back. It’s all free. So this book is a continuation of my passion to share the truth with other Realtors and clients and to help them to be fully informed and to make wise decisions in buying and selling real estate. The New World of Marketing for Real Estate Agents can be ordered at The New World of Marketing.